Marvel Studios is preparing to launch a range of six-to-eight episode TV series exclusively for Disney Plus - and, according to a recent report, each series is rumored to have a budget of $100 million. Disney Plus is a strategic priority for the House of Mouse, and Marvel Studios is expected to play a major part. It's already been confirmed that the MCU TV series will be studio-budget, with Marvel visionary Kevin Feige running the projects. 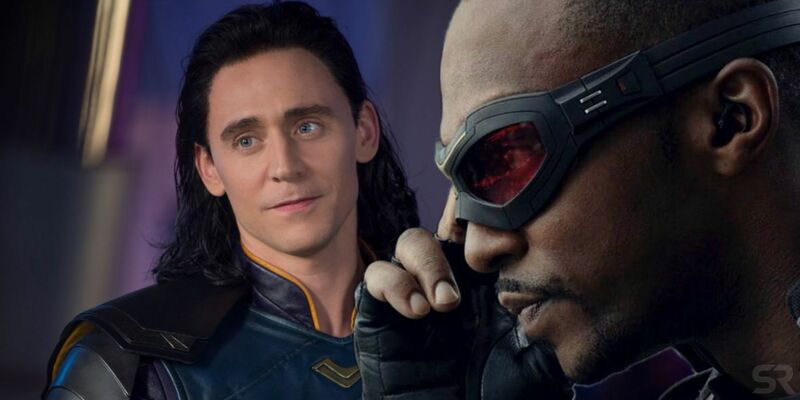 So far, there have been reports that these series will feature heroes and villains like Tom Hiddleston's Loki, Elizabeth Olsen's Scarlet Witch, and Anthony Mackie's Falcon; and they could conceivably even be used to introduce whole new characters into the MCU. Marvel has reportedly tapped Empire writer Malcolm Spellman to write a series starring Falcon and Winter Soldier, while Jac Schaeffer has been brought on board for Vision & the Scarlet Witch. Over the weekend, Discussing Film has reported that a series starring the Lady Sif is also in the works; and, in an interesting detail, they also claim that all of the Disney Plus MCU TV shows will enjoy a $100 million budget. While it's important to note that this has yet to be corroborated, it's certainly possible. This kind of budget fits perfectly with previous comments that the series would be studio-budget, and also aligns the Marvel projects with Lucasfilm's live-action Star Wars TV series The Mandalorian. The Disney Plus streaming service is expected to launch in the United States later this year, with Disney prioritizing an international rollout. Should the Fox acquisition go as planned, Disney believes they have a big enough content library to compete even with the likes of Netflix - and that their new service will be boosted by a mass of original content. The House of Mouse has already proven themselves willing to cash out for quality content, as demonstrated by the budget for The Mandalorian, and it looks as though the Marvel shows will be no different. These Marvel TV shows subtly reshape the nature of the Marvel Cinematic Universe, where TV series and movies have traditionally had something of a divide. In contrast, these Marvel Studios limited series will feature movie actors, meaning they tie in directly to the films. So far, they feature only secondary characters, usually heroes; and it's unclear whether or not they'll be set before or after the events of Avengers: Infinity War or Avengers: Endgame, or whether Marvel will choose to do origin stories instead. There's been some speculation Marvel could even use these shows to introduce brand new characters, and perhaps even set the scene for the arrival of the X-Men by retconning Scarlet Witch as a mutant after all. Whatever Marvel Studios' plans may be, though, with this kind of budget, the limited series will compare well to the movies themselves.